If having wardrobe space handy for all your child's trendy clothes is more useful than a sleepover solution then this is the perfect bed to choose. We have designed a spacious wardrobe to fit snugly under the highsleeper, it has a deep shelf and full width hanging rail and should leave plenty of space for gathering the latest fashion. Not only is there plenty of storage space but we have also left room for a great workspace with a convenient shelving system handy by the L-shaped desk. The bed is mainly constructed from solid pine with some parts in MDF. Well built and lasting quality. Wardrobe produced from durable MDF. Includes Uno Highsleeper with integrated desk and shelving and Low Wardrobe. 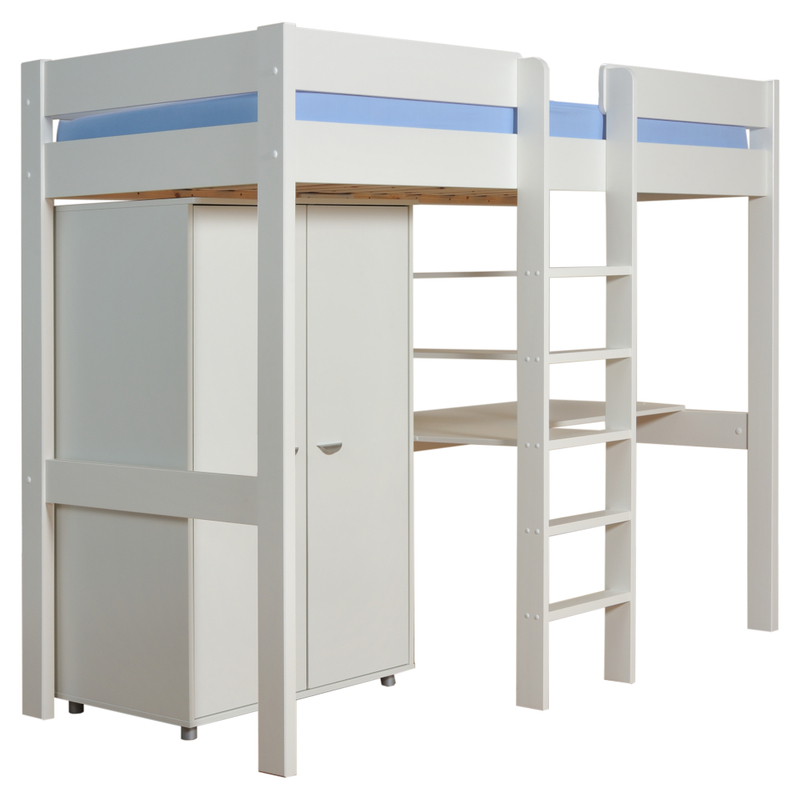 Features Highsleeper bed with integrated L-shaped desk & shelving system and 2 door Wardrobe. The wardrobe can be positioned on the LH or RH side. Easy grip brushed steel metal handles on the wardrobe. 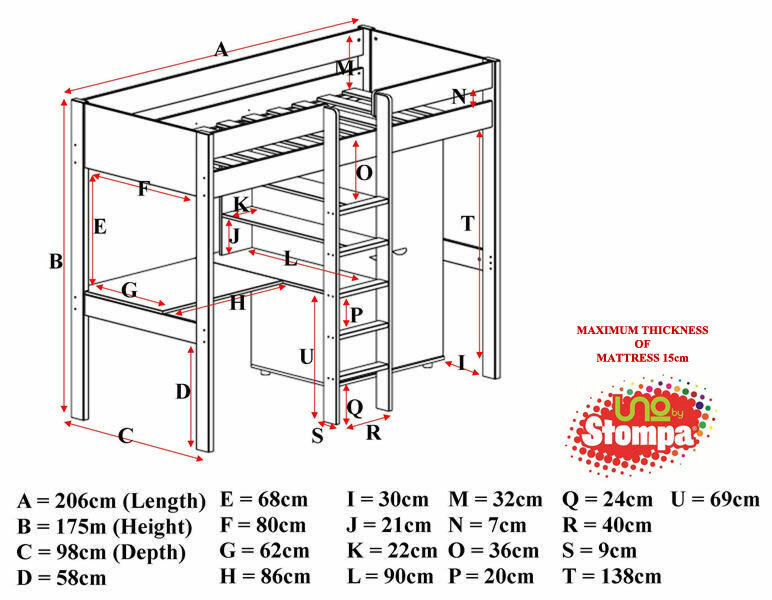 To view the technical line drawing specifications for the Uno 7 High Sleeper White with Desk + Wardrobe1 White please click on the following link.